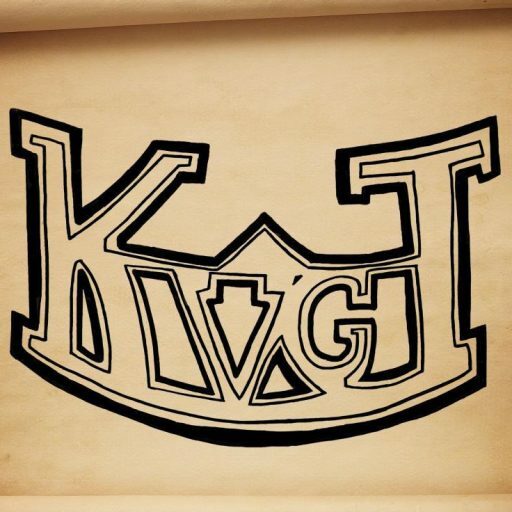 State of the Podcast Address or Where is KVGT and Where Are We Going? I know what you’re thinking, “Not another one of these posts!” Well, too bad, it is! I swear we have good reason for being gone these last three weeks and I also promise there are big things to come in 2013 for us! 2012 was one interesting year for us here at KVGT. We went through a lot of changes and other behind the scenes issues, but we also had a great year for interacting with our fans and record breaking listener numbers! We also saw a more consistent, even if still slightly off, schedule that will only continue to improve as we get back into the groove of the new year. So a quick explanation to why we did NOTHING for Christmas. I (Jeremy) was in the process of moving. The original plan was to have a full episode the week before Christmas (released on the 20th) with a special LIVE episode featuring a few other podcast hosts on the 22nd, but neither of these things happened because I ended up moving on the 20th, which should have been the 15th, and had no internet on the 22nd. So we rescheduled it for the following week, but that didn’t happen either. This time was also my fault, I was still in the process of moving and was spending the majority of my day packing, cleaning, driving, and unpacking. Not to mention I didn’t (and still don’t) have my main PC hooked up! I know what you’re thinking, what about Frank and Patrick? Why didn’t they do one without you? Well, like me Frank has recently moved, which is why he hasn’t been on the podcast the last two episodes. His internet at home right now is so weak it cannot handle Skype! This means Patrick had no one to do a podcast with. So New Years has passed, happy New Years by the way, and just as we start looking to getting an episode done, Patrick comes down with a bad sickness, putting him out of commission this past few days. We’re hoping to record over this weekend and get the episode out that same day, but it will depend on how Patrick feels. So some good news; Patrick is starting to feel better and Frank has a schedule to get his internet fixed today. With some luck, we should be at full strength come next episode! And, 2013 is looking to be our best year yet. As you have seen towards the end of 2012, we’ve finally been getting a few guest hosts on and this will continue. Myles, who was on episode 103, had a lot of fun and wants to come back along with Matt from Intrepid Audio Productions will be joining us and I’m going to try hard to get Ryan from Nerdgasm, too! We also have a few other friends that want to come on. Oh, and did I mention I’m in the talks with a few well known people for an interview or to guest host? These may or may never come to light, but I sure am excited about it! Our Vs. is on the back burner still until we work a few more kinks out, but will return soon, bigger and better than ever. I know a lot of you really look forward to them and most of our feedback has been from people praising our Vs., so don’t worry, it isn’t gone forever. I also hope to take this webpage to the next level in 2013, so if you want to write for us, please contact us in one of the many ways we provide (Twitter, Facebook, E-mail, leave a comment here, use the contact form, etc.) and we will get you started as a content provider.